There are lots of naked people running wild in the streets of the sleepy township of Konomiya, Inazawa, just west of Nagoya City. Streakers, hundreds of them, and hundreds of thousands of spectators, young and old, male and female, fully clothed against the cold, encouraging them on! 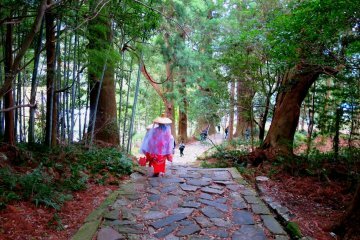 Every freezing cold February, the 1,200 year old Naoi-Shinji, or Hadeka Matsuri (Naked Festival) is held at the Owari Shosha, Konomiya Shrine. 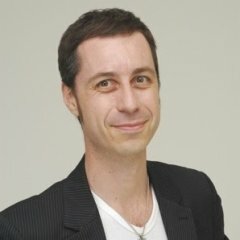 Only naked men can participate, there are no naked women, and the men that do participate are not always the sexiest examples of Japanese manhood either. 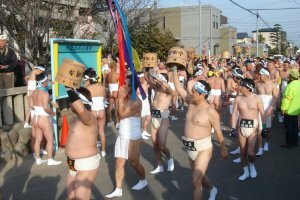 That being said, the festival still manages to draw huge crowds to the precincts of the ancient shrine. Naked festivals are held in various places around the country, but one of the oldest and better known festivals is this Inazawa Konomiya Naked Festival, held annually since the year 767, when the Emperor Shotoku ordered the governors of all districts to offer invocations to dispel evil spirits and disease, the festival these days is celebrated to drive out bad luck and welcome in the good. 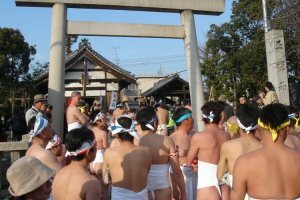 Groups of participants mostly of the ages 24 or 42, considered unlucky ages for men, and dressed only in light, white cotton fundoshi loincloths carry colorful portable shrines mounted on long, ribbon covered poles to the chants of Washoi! Washoi! Washoi!. The only other thing they wear are colored cotton headbands. These are torn into strips later in the day, and receiving one or two of these strips is said to bring good fortune. As the groups of naked men pass by certain points, people with buckets of ice cold water splash them as part of the purification process. 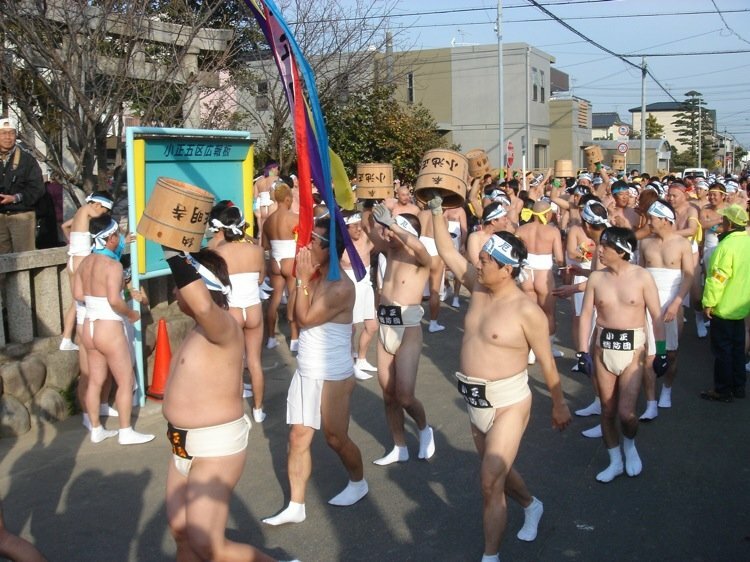 It’s a raucous, riotous festival where the sake flows freely, and towards the end of the day, there can be some rather embarrassing moments when the loincloths of the more inebriated start to come undone. Every year one lucky (?) 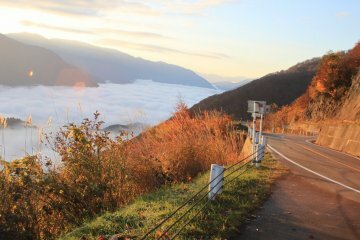 soul is chosen to be the Shinotoko, or God Man. This man gets completely shaven,…even his eyebrows are removed, and runs the course completely naked, chased around the historical shrine by the hundreds of other loincloth clad participants, all eager to touch, or hit him, passing their bad luck onto the God Man and bringing luck to themselves. After battling the masses, the Shinotoko makes his prayers at the shrine before being driven out of town, taking all the bad luck bestowed upon him as he goes. As with all Japanese festivals, there are plenty of food and drink stalls set up around the area, and many great photo opportunities too! 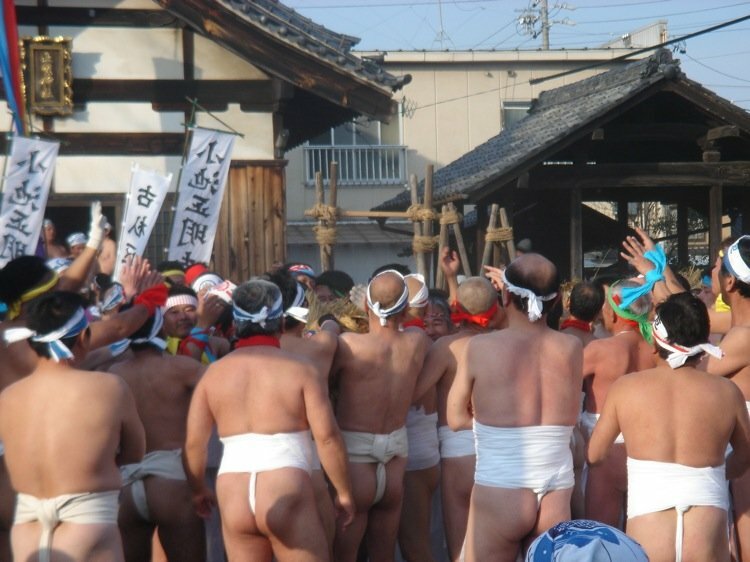 If you find yourself in Japan during the cold February months, about the time of the second moon, make sure you’re in Nagoya for the Naked Festival.